This is the final week of my first intro to piano class session at Lewis Music Studio. Over the past 9 weeks, we learned about proper sitting posture at the piano, dynamics, touch, correct finger curvature, range, black key patterns, white key names, flexible wrist, and the C 5-Finger Scale. We covered a lot of material, but we also had a lot of fun! As cards are drawn, we will decide as a class how we are going to write our piece. Depending on which black key group is chosen, we will use fingers 2 and 3 or 2, 3, and 4. 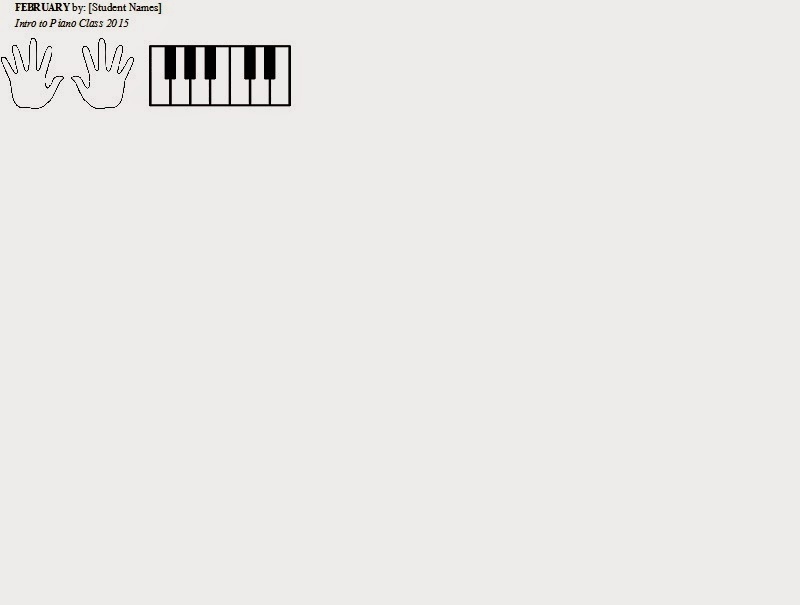 Each student will write a measure of music using these finger numbers. On the Composition Project Worksheet that I created for this project, we will either circle or color in the appropriate hand and black key group. The dynamic markings, double bar line, and decorative snowflakes will be glued onto the worksheet. There are three students per class, so I made one snowflake for each child! We will play the finished project individually, and then as a class, making sure that we are sitting with good posture, playing with curved fingers, and using a flexible wrist. Following the class, the composition will be scanned and emailed to the students' parents.